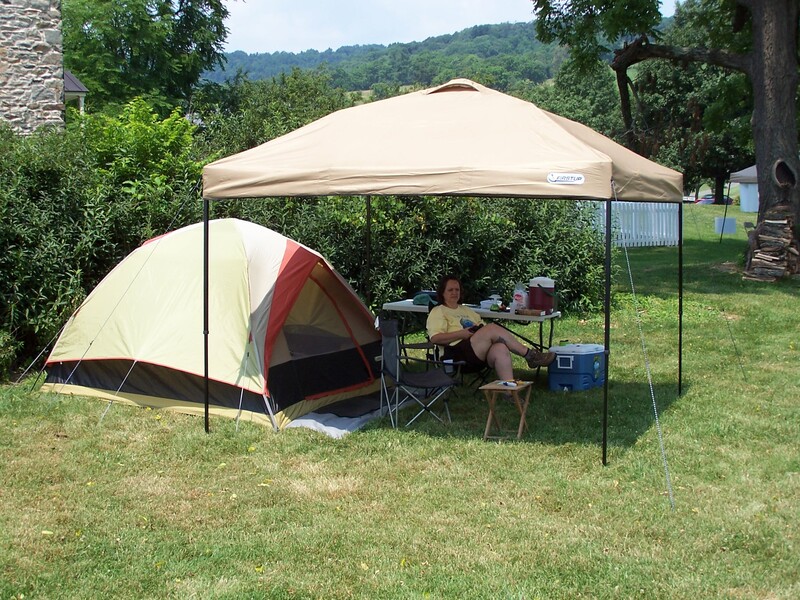 When we started camping we thought a tent would be the way to go. Keep things light and mobile. Even though this worked okay for us we soon realized we wanted to sleep off the ground. 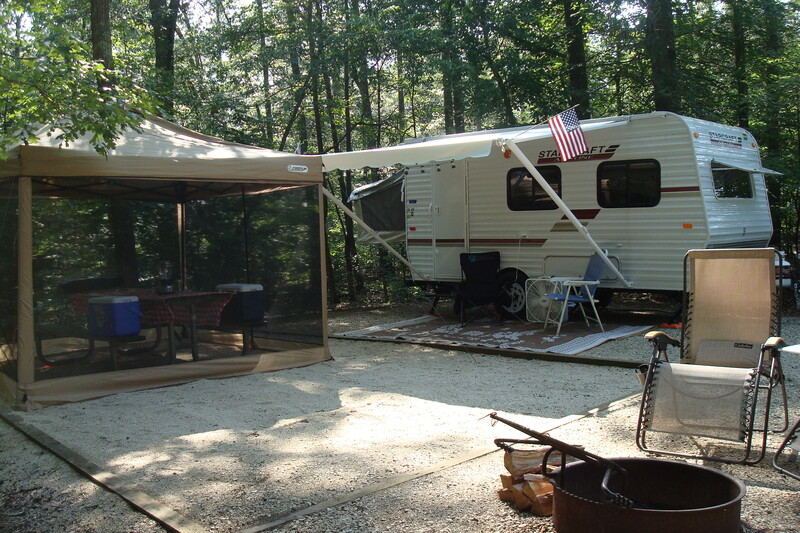 So to keep things light and see if trailer camping was really something we would like we found a small, used 1988 Coleman Columbia pop up tent trailer on Craigslist and brought it home to give it a try. After a few mods we really enjoyed this change! After camping like this for a while we started to accumulate “stuff”. Knowing we wanted to keep towing with the Jeep Liberty we realized there just no storage room in the little pop up. We looked into getting a bigger popup but we thought if we are going a bit bigger perhaps we could get a small hybrid camper that would also have a real bathroom! We found The Starcraft AR-ONE 15RB that seemed to be the right fit for 2 people and a vehicle with a 5,000 lb towing capacity. Built in storage as well as the ability to put a few things inside the main living area while traveling would make it so much easier to store gear and also to be “ready at a moments notice” when the camping bug hit. After 1 long road trip with many steep hills and too much time on the interstate we sadly came to the realization that if we wanted the Jeep Liberty to last we were going to have to do something else as a tow vehicle. Even thought the Liberty could tow the trailer, at highway speeds it just didn’t have the power to properly tow that big windblock behind it! Way too much wind resistance creating too much drag on the Jeep. The Jeep was paid off so trading it in was out of the question. We decided to trade in my other Jeep Wrangler that was still being financed for a new tow vehicle…just rolling payments from 1 vehicle to the other. 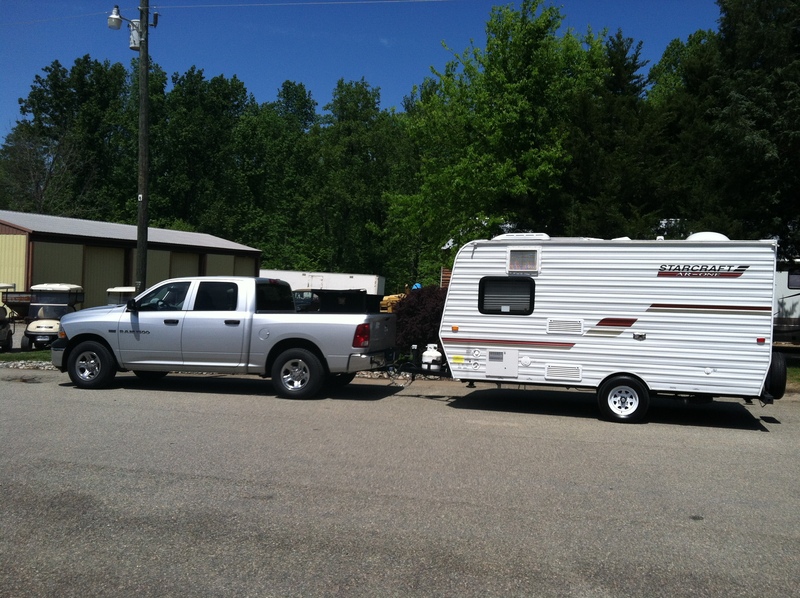 We found a 2011 Ram 1500 Crew Cab with factory tow package and made the change! Now we could tow that little hybrid in style and while towing it was like it wasn’t even back there! Now we were camping in style! At least that’s what we thought! After one season in this camper and knowing we had all this towing power thoughts start bouncing around in your head… what about a real bed? maybe a couch and dinette? bigger bathroom? more cupboard space? bigger holding tanks? Yep! You guessed it! we went shopping AGAIN! 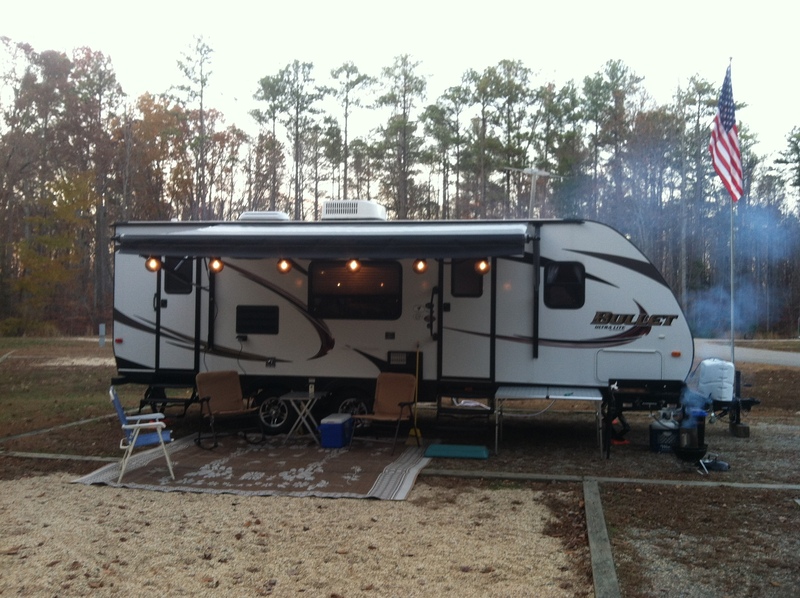 We finally settled on a 2013 Keystone Bullet 246RBS Travel Trailer. 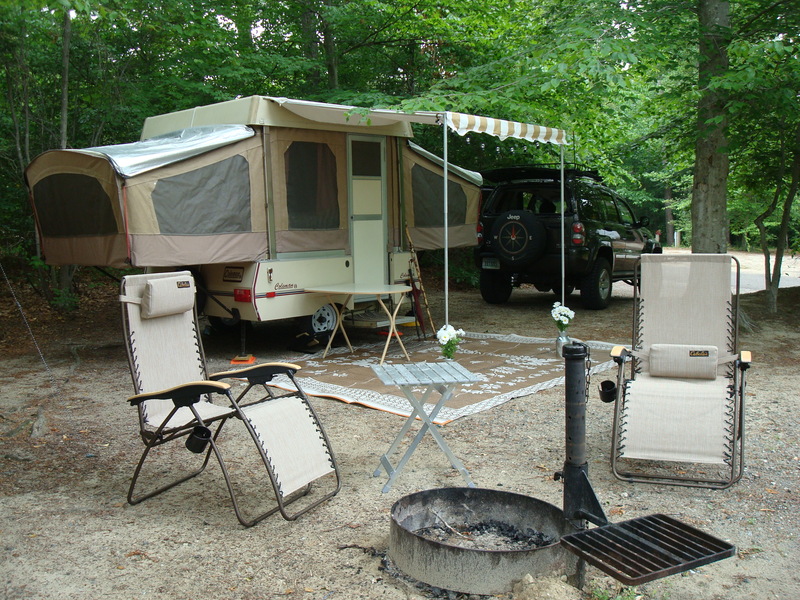 This camper had everything we wanted and still stayed on the lighter side coming in under 5,000 pounds. We love this camper and have no more plans to change for quite some time. Perhaps a Class C or Class A Motorhome when we near retirement but until then we think we have a keeper!